Mangaluru, Jan 12, 2017: The 32nd State Level Skating Championship 2016-17 was held at Mysuru recently. 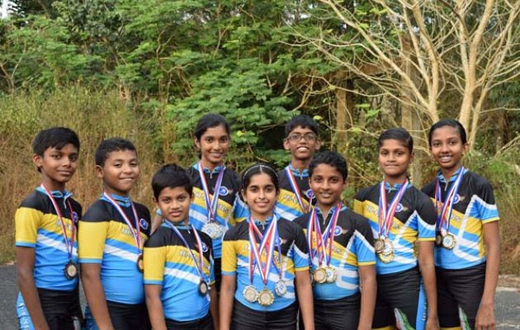 It is said that 18 skaters from Hi-Flyers Skating Club, Mangaluru participated and 10 skaters won a total of 21 medals (10 Gold, 5 Silver, 6 Bronze) in the event. Kushi Rani and Shamil Arshad have won the Individual championship by securing 3 Gold medals each while Omkar Yogaraj, Kushi Rani, Shamil Arshad, Dashiel Concessao, Moksha Suvarna and Deeya Das have qualified for the 54th National Skating Championship 2016-2017. The children are very smart and terrific. It is we the parents who have to recognize the ability and join to co curricular activities .